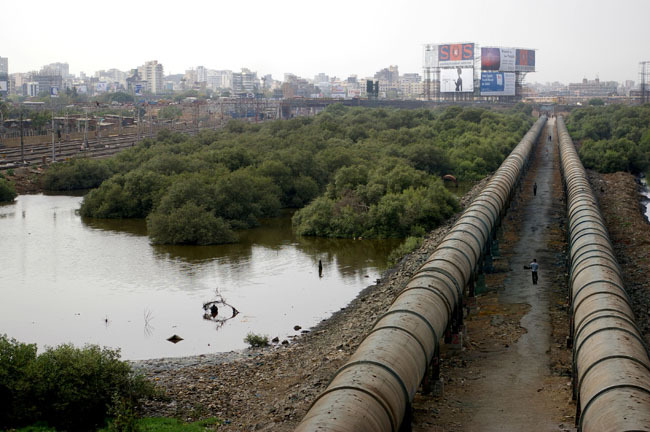 An important enabling component of the global socio-enviro-economic system. October 2013 ... The Maersk Altair is a 9,640-TEU container ship, one of the largest container ships able to dock at the US port of Charleston. The very first cargo ships were built to carry bulk cargo in wooden boxes (material in either liquid or granular form), but today’s cargo or container ships are built to transport non-bulk cargo. More than 90% of non-bulk cargo worldwide is transported by container, and modern container ships can carry more than 20,000 twenty-foot equivalent units (TEU). These EEE ships are gigantic, as much as 400 meters long and 60 meters wide. They have been designed to transport all types of cargo, including fragile items, safely. The Triple E designation derives from the class’s three design principles: Economy of scale, energy efficient, and environmentally improved. 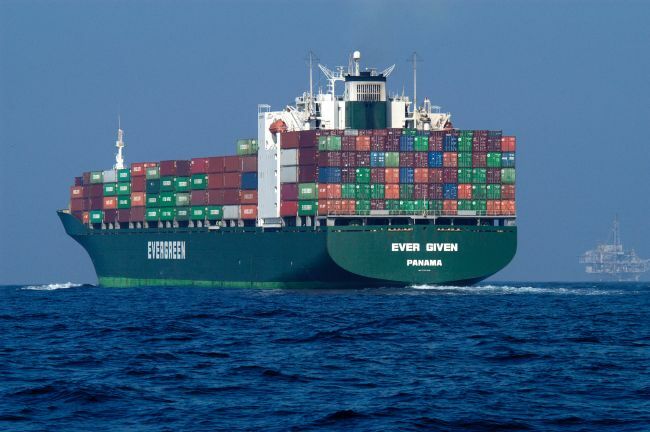 The EEE ships are the world’s longest ships in service, and they are the most efficient container ships per twenty-foot equivalent unit of cargo. As a class, container ships now rival crude oil tankers and bulk carriers as the largest commercial vessels on the ocean. Container ships fall into distinct categories based on their characteristics. 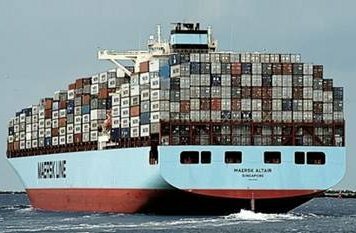 In the early days of container ships, size was based on volume. Modern day ships are rated based on Twenty-Foot Equivalent Units (TEU) or the number of twenty-foot equivalent containers that can be carried by the ship. The dimensions of one TEU are equal to that of a standard twenty-foot shipping container: twenty feet long and eight feet tall. Container ships may be categorized based on length, beam, depth, and tonnage. They are also referenced by their ability to pass through shipping canals. Panamax and New Panamax are terms for the size limits for ships traveling through the Panama Canal. Suezmax and Malaccamax specify limits for ships using the Suez Canal and Strait of Malacca, respectively. Box Container Ship: Loaded only with marine containers, they are the most common type of container ship. Cargo is handled by dockside cranes that belong to the port authorities. RORO Ship: Containers are rolled on and off the ships using heavy lift vehicles and fork lift trucks. LILO Ship: Lift on / Lift off ships are equipped with cranes which are used to load and unload the containers. Mother Ships: Often above 10,000 TEU capacity, these large ships ply only between the major container terminals of a nation. They cannot enter smaller ports due to their large draft and overall size. Feeder Vessels: Often LILO type, Feeder vessels operate between the major and minor container terminals, carrying containers to and from the mother ships. 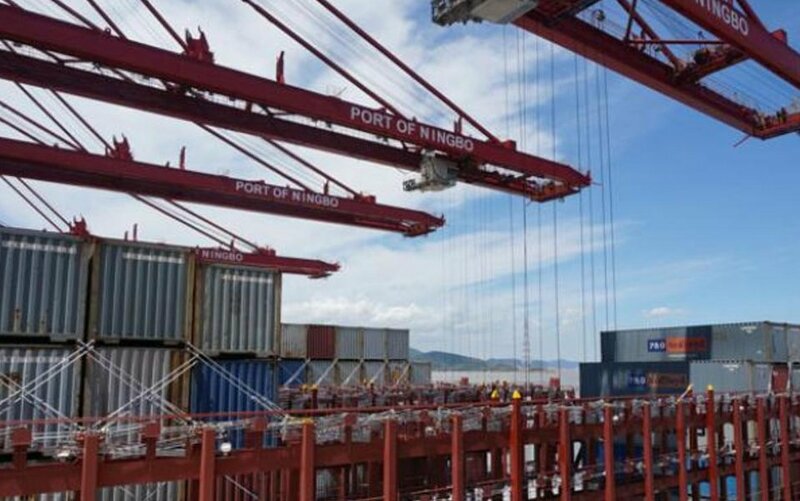 In May 2017, at Samsung Heavy Industries in Geoje, South Korea, Hong-Kong-based Orient Overseas Container Line (OOCL) christened the world’s largest container vessel, the OOCL Hong Kong. 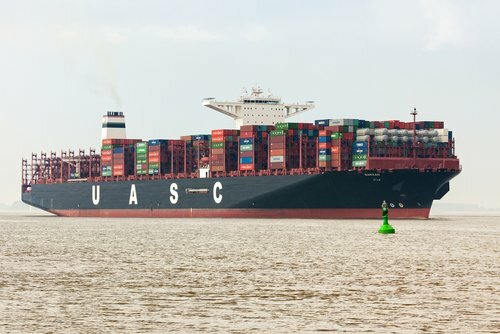 Only two months had passed since the MOL Triumph had earned the title of the world’s largest container ship by carrying capacity as the first ship to cross the 20,000 TEU mark. 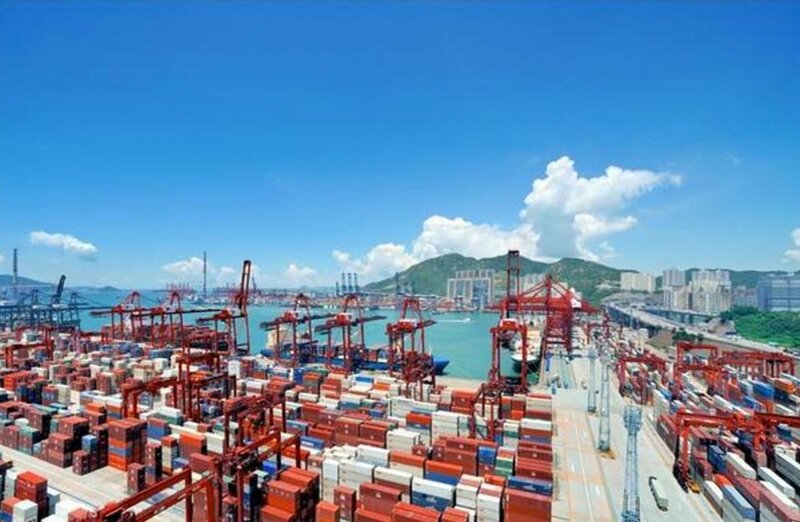 The new Ultra Large Container Vessel (ULCV), OOCL Hong Kong exceeded it with a carrying capacity of 21,413 Twenty-Foot Equivalent Units (TEU). The OOCL Hong Kong measures 399.87 meters in length and 58.8 meters in breadth, ranking it among the largest ULCVs in operation today by dimensions. OOCL at SHI ordered six identical vessels in April 2015 for a total cost of US$950 million. 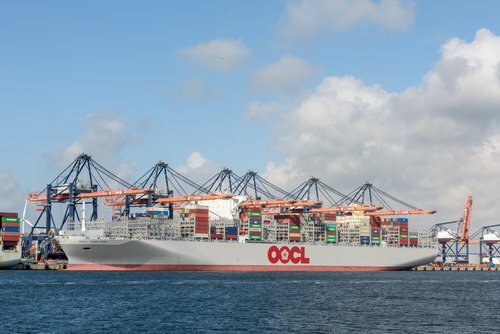 The OOCL Hong Kong will be serving the Asia-Europe trade lane on the LL1 service with stops in Shanghai, Ningbo, Xiamen, Yantian, and Singapore, and via Suez Canal to Felixstowe in Suffolk, UK, Rotterdam, Gdansk, and Wilhelmshaven. In April 2017, container shipping major Maersk Line from Denmark took delivery of the Madrid Maersk, a 20,568 TEU box ships, from South Korean shipbuilder Daewoo Shipbuilding & Marine Engineering (DSME). The vessel capacity exceeds that of the previous largest containership, the MOL Triumph, which has a capacity of 20,150 TEU. 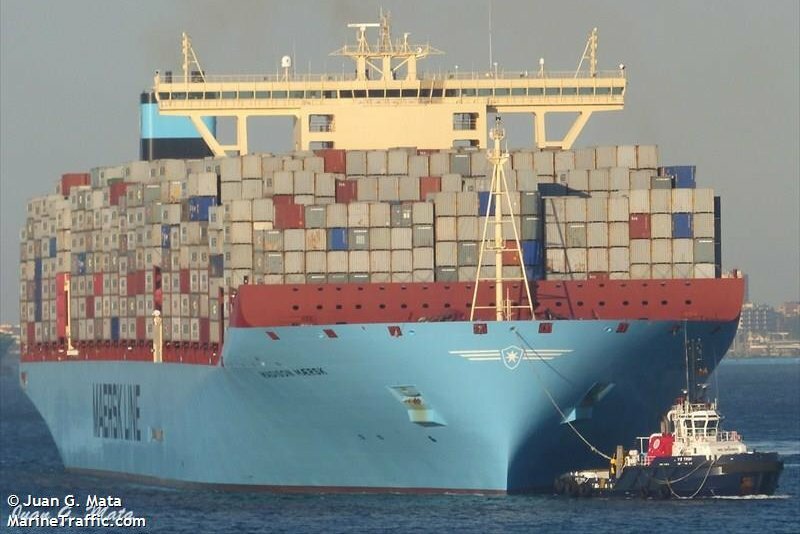 The Madrid Maersk measures 399 meters in length and 58.6 meters in width. Maersk Madrid belongs to the 2nd generation of the company’s Triple-E class of vessels and is the first of 11 ships ordered from DSME back in 2015. It is deployed in the company’s Asia/Europe network. Mitsui O.S.K. Lines, Ltd. (MOL) introduced their newest vessel, the MOL Triumph, at a ceremony at Samsung Heavy Industries Co., Ltd. in South Korea on March 15, 2017. 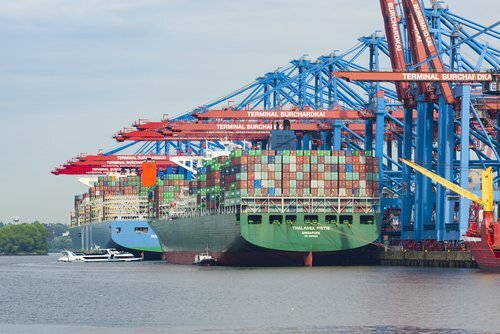 The first of a fleet of six 20,000 TEU-class container ships, the 400-meter-long, 58.8-meter-wide MOL Triumph briefly held the record as the world’s largest container ship. Container ships in the 20,000 TEU-class are equipped with several highly advanced energy-saving technologies, including a high-efficiency propeller and rudder, low friction underwater paint, Savor Stator as a stream fin on the hull body, and an optimized fine hull form. These features can reduce fuel consumption and CO2 emissions per container moved by about 25-30% when compared to 14,000 TEU-class container ships. Additionally, the vessels have been designed with the retrofit option to convert to liquefied natural gas (LNG) fueled ship to comply with the International Maritime Organization’s new regulation to limit NOx and SOx emissions in marine fuels, effective in 2020. At the time of its delivery in January 2015 the MSC Oscar, with a capacity of 19,224 TEU, was the world’s biggest container ship. It is slightly larger than the previous record holder, the CSCL Globe, at 19,000 TEU. 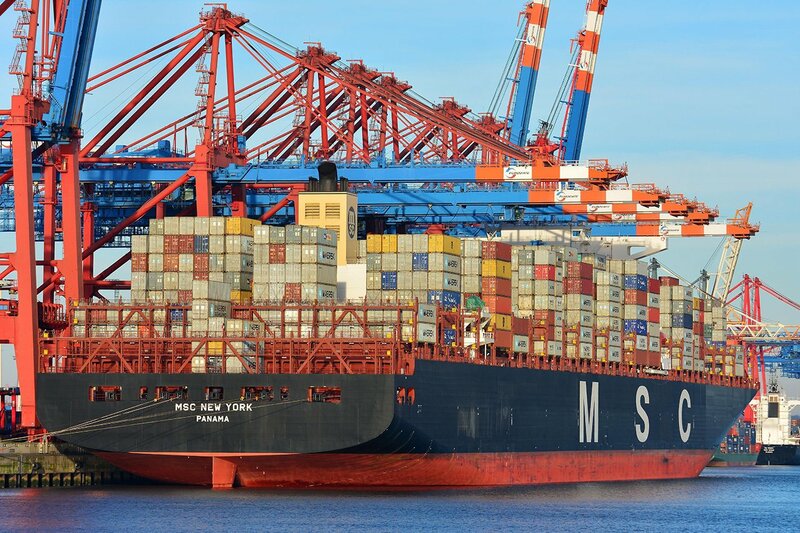 With East-West trade routes between Asia and Europe, the MSC Oscar is part of MSC’s plan to reduce CO2 emissions by increasing the average vessel size, which reduces the number of ships in operation. MSC has applied Jotun’s patented Sea Quantum X200 Hull Performance Solutions (HPS) on the MSC Oscar as well as 11 other existing and future vessels. The vessel realizes lower fuel costs and related carbon emission because it is equipped with antifouling technology. MSC Oscar has an overall length of 395.4m, making it one of the world’s longest ships, breadth of 59m, height of 73m, draught of 16m, gross tonnage of 193,000t, and deadweight of 197,362t. It can accommodate 35 crew members. The vessel can carry 1,800 refrigerated containers (1,470 on deck and 330 in the hold). The total investment to build the vessel was $140m. The vessel’s full spade rudder is equipped with a rudder bulb, and the propeller comprises five blades measuring 10.5m each. A high-performance propulsion system enables the vessel to sail at a service speed of 22.8 knots. The CSCL Globe is a container ship built by Hyundai Heavy Industries Co. (HHI) for China Shipping Container Lines(CSCL). The first of a class of five ships intended for Asia-Europe trade routes for a total cost of $700 million. It was the largest container ship in the world at the time of launch in November 2014, with a maximum capacity of 19,100 TEU containers. The CSCL Globe measures 400.0m in length, 58.6m in width and 30.5m in depth. 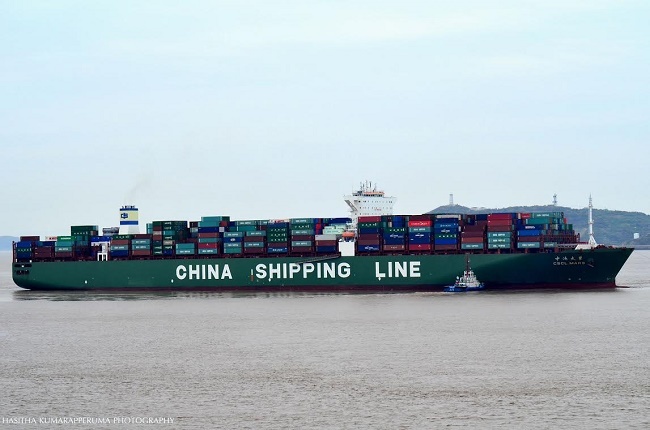 The electronically controlled main engine (77,200bhp) of the CSCL Globe enhances fuel efficiency by monitoring fuel consumption according to sea conditions and the ship’s speed. 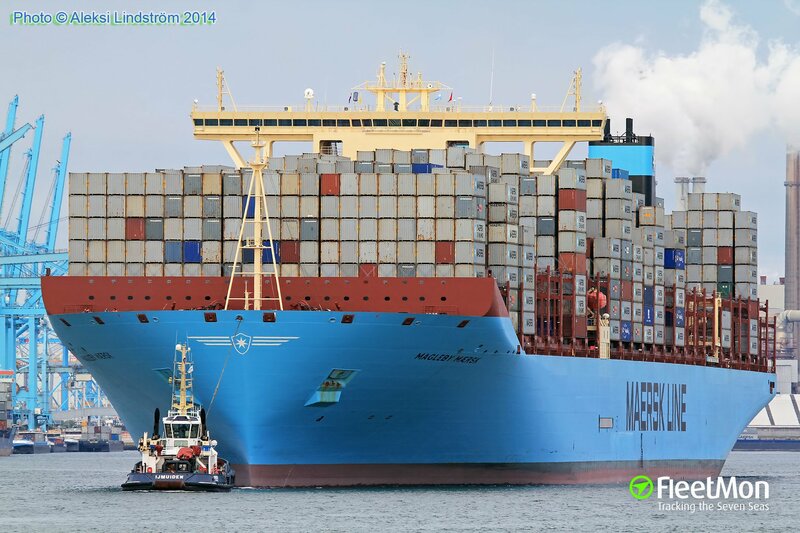 The system results in a 20 percent reduction in fuel per TEU in comparison with similar 10,000 TEU container ships. The CSCL Globe employs two EcoBallast seawater treatment systems that filter and sterilize bacteria and plankton at a rate of 3,000m3 of seawater per hour. Built by Hyundai Heavy Industries in Mokpo, South Korea in 2015, Barzan is an ultra-large container ship and among the largest in the world (as of July 2015). It is one of six 18,800 TEU contain er ships built in South Korea for United Arab Shipping Company (UASC). Barzan has a deadweight of 199,744 tons, and gross tonnage of 195,636. Classed under the international accredited registrar and classification society DNV GL as the first ship ever to have “Gas Ready” class notation, Barzan has the lowest per container level of carbon emissions. Its Energy Efficiency Design Index is almost 50% less than the International Maritime Organization limit set for 2025. According to the builder, it has carbon emissions far lower than the Maersk EEE class container ships. Manned by a multinational crew, Barzan was placed on the UASC service route of Asia/Europe container service in August 2015. The route takes her to the ports of Qingdao, Shanghai, Ningbo, and Yantian in China, Port Kelang, and Singapore in South East Asia, and four North European ports. Built at the shipyard of Daewoo Shipbuilding & Marine Engineering, Magleby Maersk is one of the largest container ships in the world. 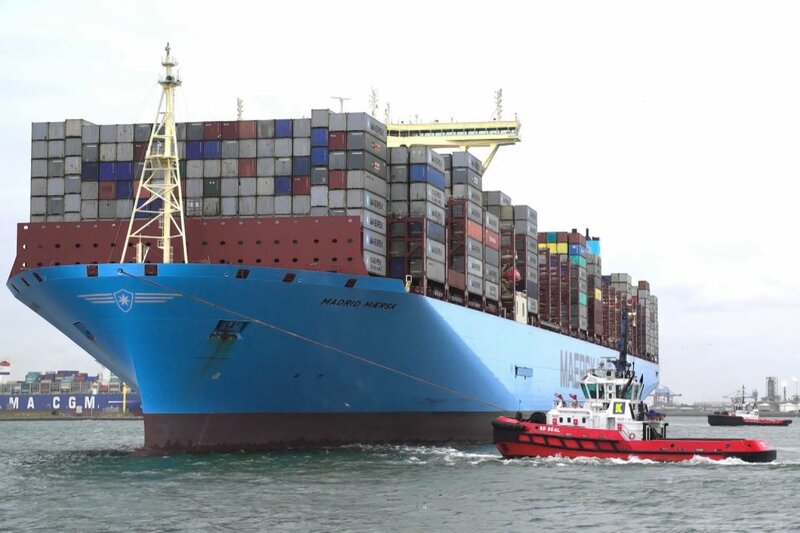 A Triple E-Class vessel, it is owned and managed by the Danish ship owner AP Moller Maersk, the largest operation of container shipping in the world. Magleby Maersk has a capacity of 18,270 TEU. The Magleby Maersk has a length of 398m (1,306ft. ), molded beam of 59m (194ft. ), depth of 33 m (108ft. ), height of 73m (240ft.) and maximum summer draft of 16m (52ft.). The gross tonnage of the container carrier is 194,849GT, and the deadweight is 194,417DWT. The Magleby Maersk has two long-stroke and low-revolution main engines MAN B&W 8S80ME-C 9.2, each with 39,785hp. The vessel is driven by two 4-blades fixed-pitch propellers and reaches a maximum speed over 22.0 knots (41km/h). 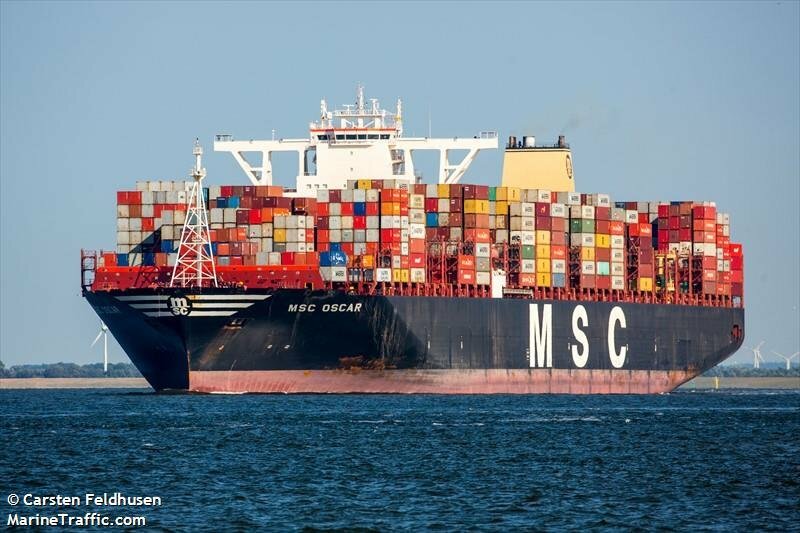 MSC New York is a container ship built in 2014 is registered and currently sailing under the flag of Panama. Built by STX Offshore & SB.MSC New York, the MSC New York is 399m long, has a beam of 54m, and a maximum draught of 29.9m. She has a capacity of 18270 TEU and a gross tonnage of 176490 tons. 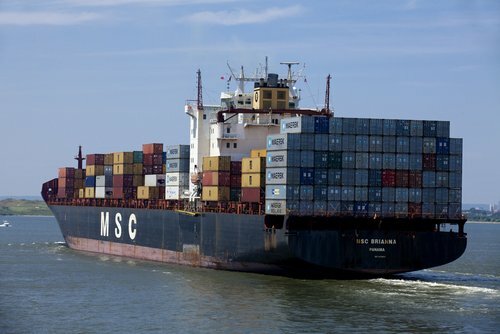 With headquarters in Geneva, Switzerland, MSC is one of the world’s leading container shipping lines. It operates 480 offices in 150 countries worldwide with over 24,000 employees. 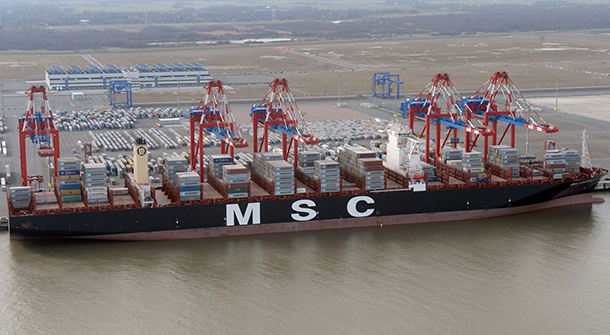 MSC’s shipping line sails on more than 200 trade routes, calling at over 315 ports. One of the largest container vessels in the world, Madison Maersk was built in 2014 by Daewoo Shipbuilding & Marine Engineering in South Korea. The ship is a Maersk Triple E. It boasts improved architecture and a more powerful propulsion system, allowing it to achieve better dynamic characteristics and lower fuel consumption. The ship has a capacity of 18,270 TEU and is equipped with 1800 reefer plugs. The ship is 400 meters long and 59 meters wide—too wide to traverse the Panama Canal, but not too wide for the Suez Canal. 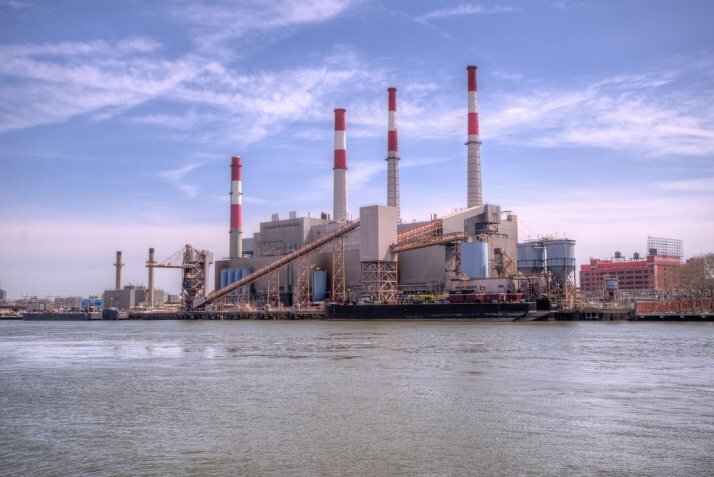 Its dual 32-megawatt (43,000hp.) ultra-long stroke two-stroke diesel engines drive two propellers at a design speed of 19 knots. 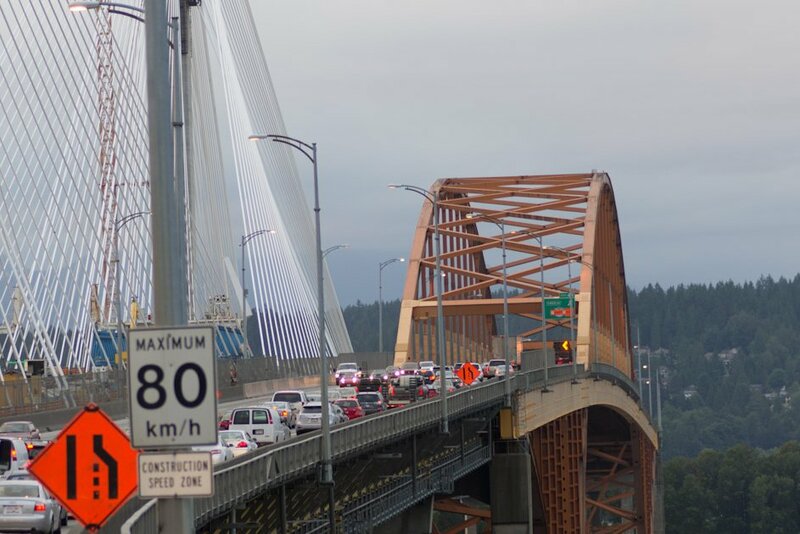 This class is, by design, slower than its predecessors, using a strategy known as slow steaming expected to lower fuel consumption by 37% and carbon dioxide emissions per container by 50%. 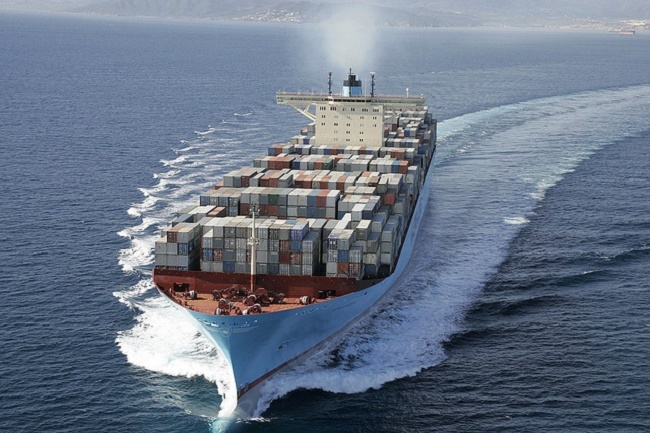 Maersk won a “Sustainable Ship Operator of the Year” award in July 2011 for the Triple E design. Madison Maersk services routes between Europe and Asia. European-Asian trade represents the company’s largest market; it already has 100 ships serving this route, and Maersk expects Chinese exports to continue to grow. CMA CGM Benjamin Franklin, an Explorer-class container ship, was delivered to CMA CGM in November 2015. 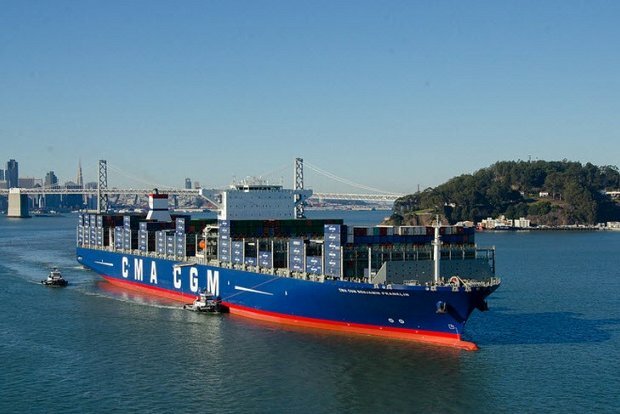 Named after United States Founding Father, the CMA CGM Benjamin Franklin can carry up to 18,000 containers, including 1,500 reefer containers. All containers placed in a line would equal the distance between Santa Monica and Santa Barbara. Its maximum load capacity represents the volume of 235 Olympic pools—almost 590,000 cubic meters. At a length of 1,300ft. and width of 177ft., the CMA CGM Benjamin Franklin is longer than the Empire State Building and wider than an American football field. The vessel is 197ft. high, and her highest antenna peaks at 230ft. The CMA CGM Benjamin Franklin made her first call at the Port of Los Angeles on December 26, 2015. She was the largest vessel ever to reach a U.S. coast at that time. The gigantic vessel is also a model for high-energy production. 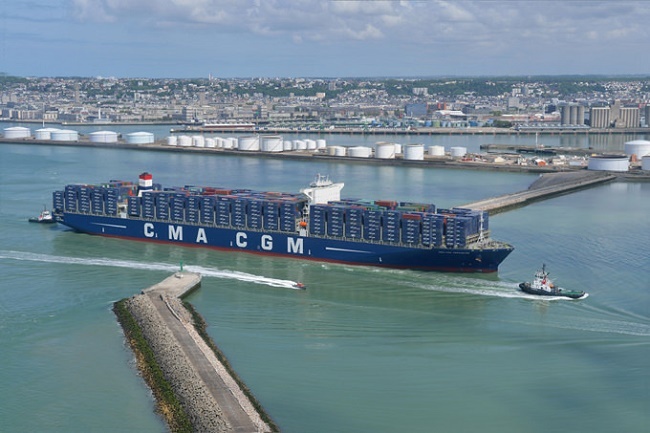 Operated by a crew of 26, the CMA CGM Benjamin Franklin produces 14MWatts of electrical energy—enough to support a city of 16,000 inhabitants. 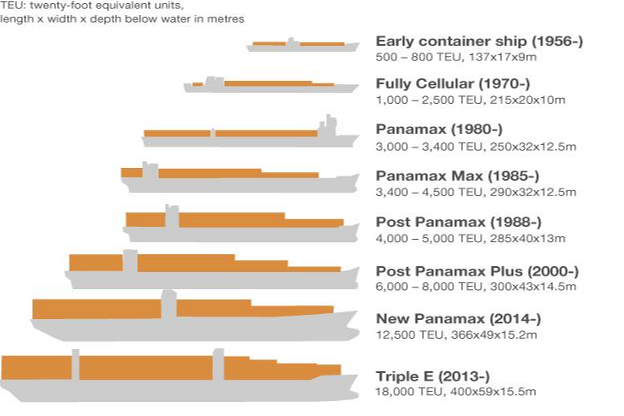 Container ships have seen a rapid growth in size in recent years. The factors influencing the design of these enormous ships are economy of scale, energy efficiency and environmental issues (EEE). 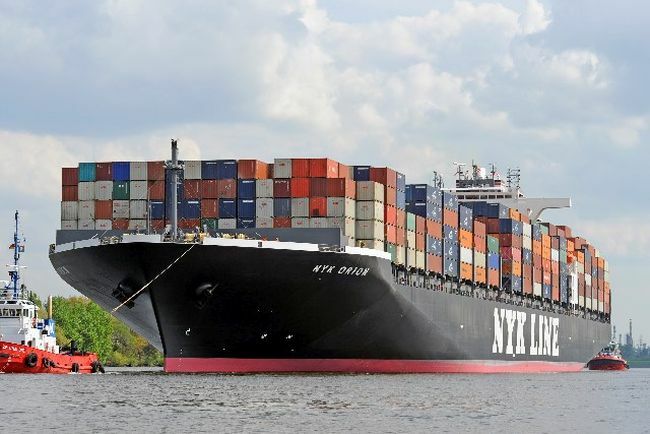 As Chinese exports continue to grow, the demand for more products with lower shipping costs should continue to promote the growth of these massive container vessels. Stay plugged in with FREE Updates! Container ships are the transport concept that have changed the world. They are one of the key elements in the world globalization. Their introduction made economic sense to the international goods trade. The largest container ships offer massive cost reduction in goods transportation. The efficiency of that transport concept reveals in competition of building larger and larger vessels. The biggest container ship in the world, since 2013, is the Triple E class vessel Maersk McKinney Moler owned by Maersk, Denmark. The biggest container ship ranking is based on their TEU capacity, except Maersk. They usually do not quote TEU capacity but maximum load capacity with all TEU filled with an average value of 14 tonne. The real TEU may be much higher due to its commercial sensitivity. 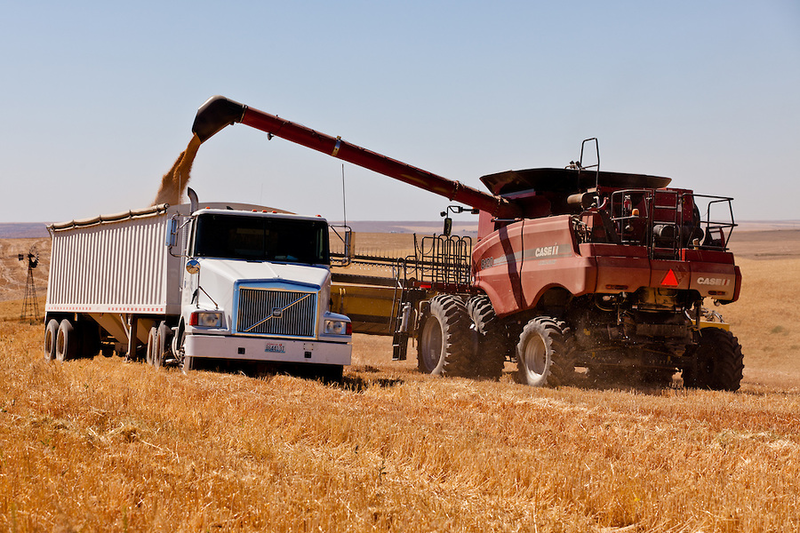 The idea of transporting goods in containers is not a new one. The first were the ancient Greeks. They used to transport wine or oil in sealed vests, amphorae or vases. Large trunks were used by later cultures for shipping different types of goods. The containerization, as a modern industry, dates since the 1950s. 'Father of the contirezation' is Malcom McLean. He was an owner of trucking business in America, North Carolina. The laborious methods were not his idea of handling goods. He was the one that saw that overcoming the highways congestion, the inefficient procedures for loading and unloading cargo vessels would benefit that kind of transportation. His idea was the first biggest container ship in the world - the Ideal-X, refitted tanker. Her maiden voyage was on April 26, 1956. The first biggest container ship carried 58 truck bodies from from Newark, New Jersey to Houston, Texas and this is considered to be the start of the container ship industry. The 1960s decade was the start of the shipping companies' competition for building the biggest container ship. Companies including P&O , Maersk Line and Hapag Lloyd introduced their first vessels constructed for carrying containers. After his death in 2001, Malcolm Mclean was named 'Man of the Century' (awarded by the International Maritime Hall of Fame and by Lloyd’s List). The container ships today transport almost 90 % of the non-bulk cargo in the world. The biggest container ship was able to carry 14,074 TEU in 2007, 15,500 TEU in 2008 and now 18,270 TEU. Despite the fact that the container industry changed the world, it caused many issue. There were huge concerns of handling the biggest container ship. Most of the world ports were not prepared to accommodate the enormous sized ships. The advantage of the biggest container ship is that it reduces dramatically the costs, the cargo comes save in sealed by the factory containers. 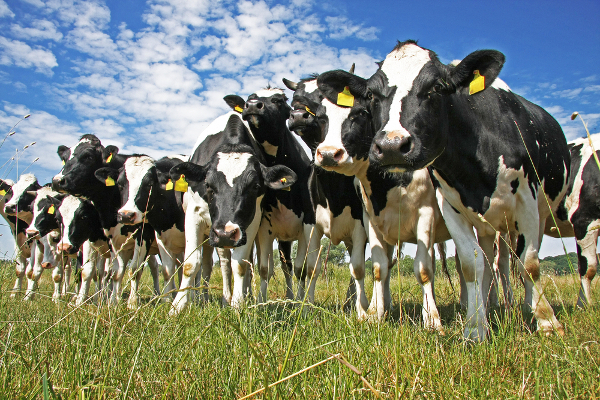 There are exact tracking systems, so the arrival of the goods is known with accuracy. The operations are quite optimized. The container ship industry aims also building environment-friendly vessels. The biggest container ship in the world Maersk McKinney Moller is part of the Triple E class - economy, energy, environment. She sets more than sizes standard. The biggest container ship in time belonged to different categories depending on her TEU. They are divided into seven categories. The Panamax type vessel has sizes limited by the Panama Channel. A 'New Panamax' container ship will transit the new built three locks. The smallest container ships are the feeders. Their main service is collecting cargo from small ports and discharging it at a bigger one. Then the cargo is transshipped on a larger ship. The biggest container ship in the world is ULCV (Ultra Large Container Vessel). Container shipping is a huge industry and these key players are aware of the minutest operational manoeuvrings necessary to power them to being the world leaders in the commercial enterprise, not just in their home countries but also at an international level. 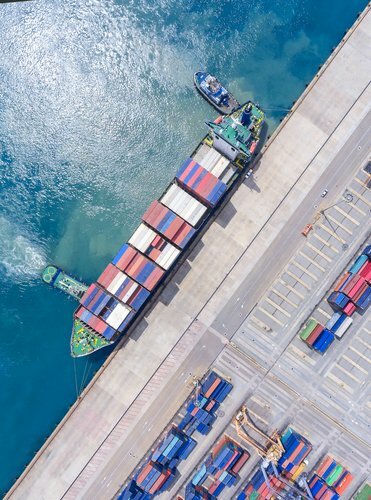 A recent study shows that global ship traffic has increased four-fold over the past 20 years, likely causing more water, air and noise pollution on the open seas. Container shipping is one of the most important and necessary means of cargo transportation through sea routes. In present times however, there does not exist any monopoly by any one of the container shipping companies leading to a complete lack of friction and tension in the international cargo shipping community. All the same there are a few international shipping companies that lead the race in terms of the scale of operation of their shipping lines. Ten of these leading shipping conglomerates of all shipping lines can be listed down as follows below. NYK is the acronym for the Japanese shipping company Nippon Yusen Kabushiki Kaisha. NYK is one of the biggest cargo companies operating internationally. The company has been in operation since the 1870s, operating a passenger fleet-line before undergoing a transition into a core container shipping company towards the mid-20th century. A shipping conglomerate based in China, the Evergreen Marine Corporation was founded in 1968 by Dr. Yung-Fa Chang, a visionary in his own right. At present, the company has offices established all over the world and with a operational capacity of more than 160 container ships is regarded to be one the largest cargo shipping companies in the world. France’s leading container shipping company, CMA-CGM came into existence in the year 1978, as a result of series of mergers between previously established shipping corporations. Jacques Saade who is the head of the company was the instrumental force behind its coming into active operation. At present, the company has a fleet of over 350 ships operating in over 150 routes globally. A shipping corporation based in Denmark, Maersk Shipping Line is a branch of the AP Moller- Maersk company. Widely well-known for its fleet of container ships, the Maersk Line made its debut in the international container shipping arena in the year 1904. At present, the company has a fleet of around 500 container ships with a capacity of around 19, 00,000 TEU (Twenty-Foot Equivalent Units). The Mediterranean Shipping Company, abbreviated to MSC is a Swiss international cargo company which was established in the year 1970. At present, with a vessel line-up of over 456 container ships, the conglomerate is rated to be one of the most extensive cargo companies in the world. 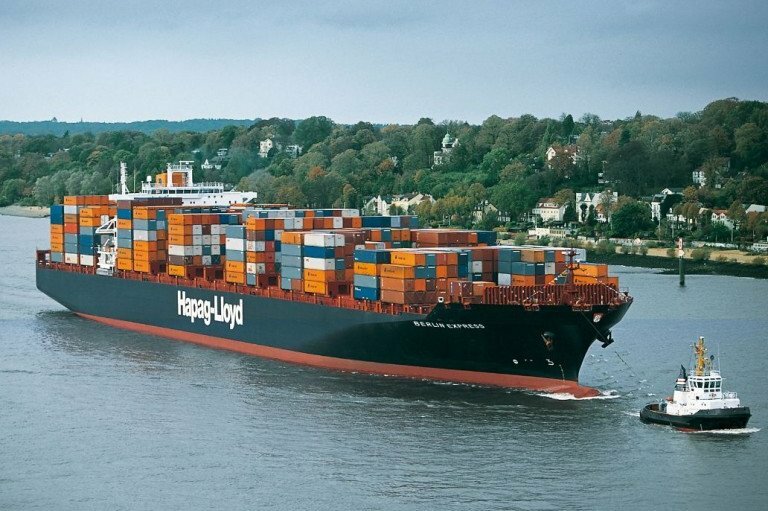 The German based Hapag-Lloyd is one of the most renowned and well-featured companies in terms of international shipping companies. The company was established in the year 1970 as a result of a merger between the Hamburg-American Line and the North German company Lloyd. Today the shipping corporation has over 130 ships catering to about five million containers on a worldwide scale. 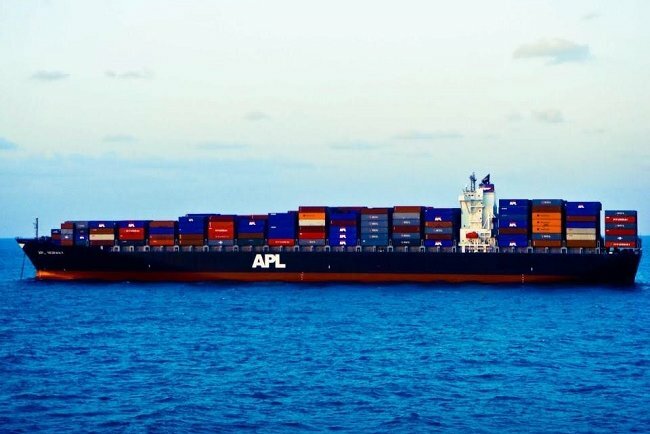 An auxiliary company to the Singaporean Orient Shipping Lines, APL is an abbreviation for American President Lines. Founded in the year 1848, the shipping conglomerate just celebrated its 160th anniversary in the year 2008. One of the most noteworthy achievements of the company is that it was the first company to successfully utilise extra-large (53 feet) containers on its vessels, accounting for shorter cargo transportation. 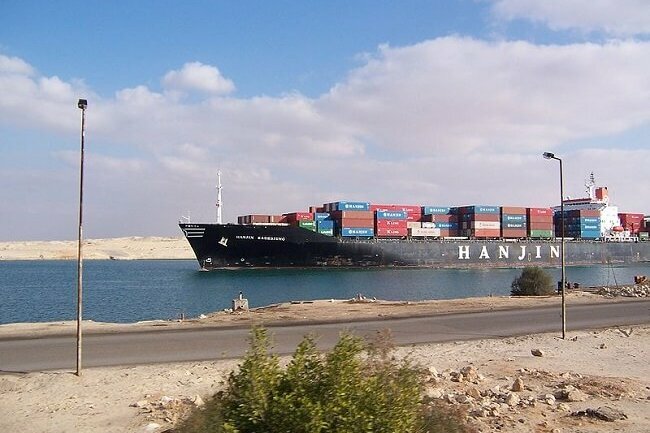 A South Korean conglomerate, Hanjin Shipping Company is one of the largest Asian cargo companies in the world. At present the company has a cargo operational capacity of over 1 billion tonnes on a yearly basis with around a fleet of about 60 ships. 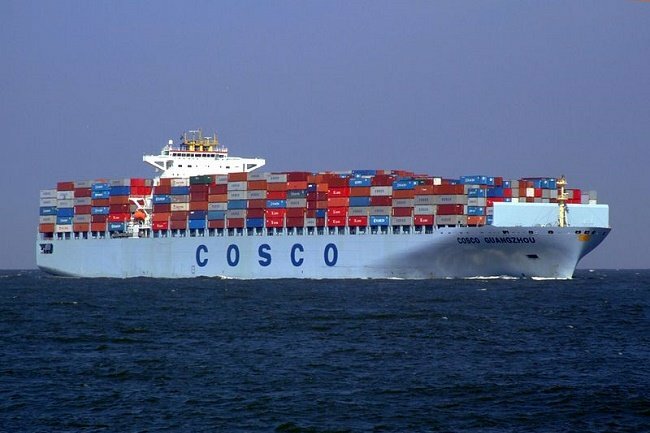 In the year 2003, Hanjin and COSCO formed a strategic alliance. The alliance has benefited both shipping conglomerates and powered them to an unequivocal position as Asia’s leading cargo shipping companies. CSCL is the abbreviation for the China Shipping Container Lines, a company based in Shanghai. Started in the year 1997, the company soon rose amongst its ranks and today has propelled not just itself but also the country to leading heights in the container shipping industry. The company finds its name in both the Hong Kong and Shanghai Stock Exchanges. 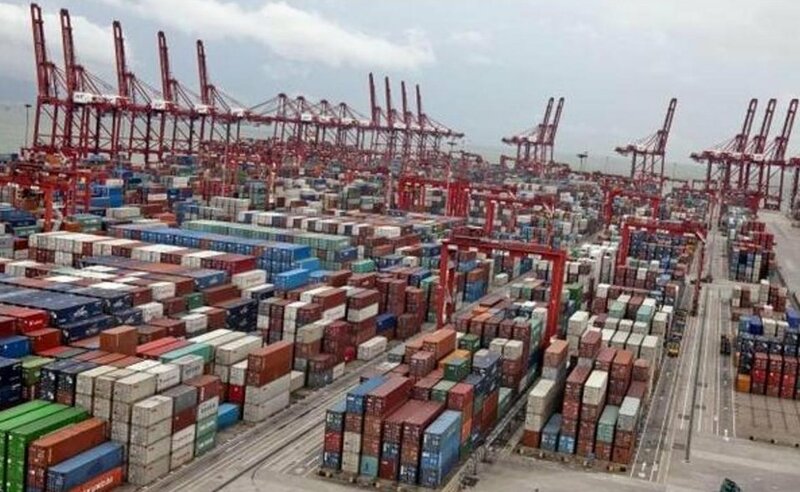 Seven out of 10 of the world's largest container shipping ports are located in China. And all 10 of them are located in the emerging markets. Only one isn't in Asia. Here are the top 10 ports asranked by the World Shipping Council for year ending 2013. TEU stands for twenty-foot equivalent units. A standard cargo carrier equals two TEUs. The No. 1 port is the Port of Shanghai. It handled 33.62 million TEUs of cargo in 2013, up from 32.53 million in 2012 and the 31.74 million TEUs reported in 2011. 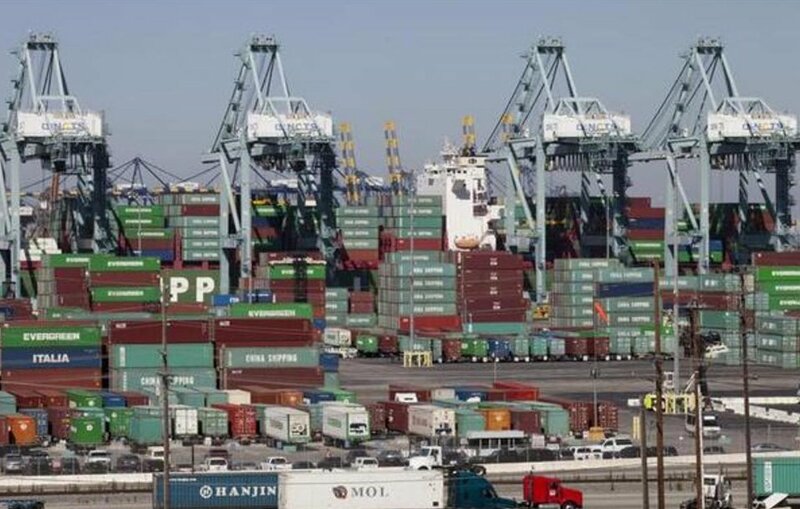 The biggest U.S. port is puny by comparison. 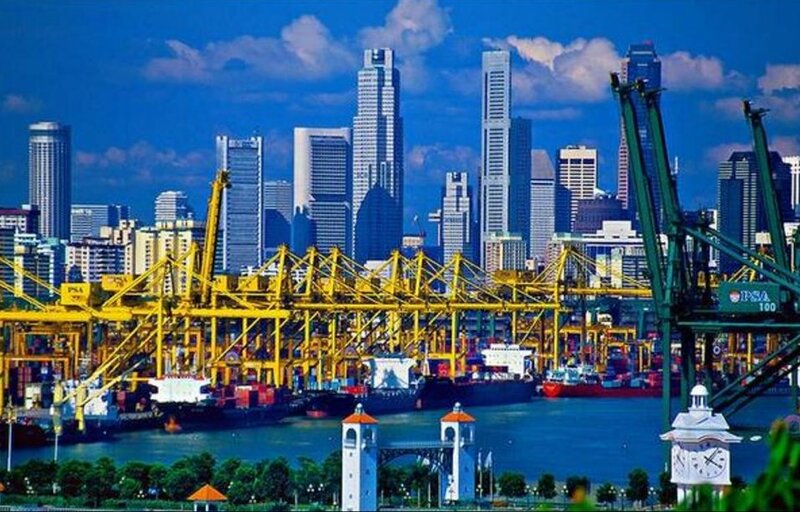 The Port of Singapore is no longer No. 1, but container traffic remains strong. Last year, the port recorded 32.63 million TEUs compared with the 31.65 million in 2012 and 29.94 million TEUs in 2011. Shenzhen is now the second largest Chinese port. Last year it handled 23.28 million TEUs, up from 22.94 million in 2012 and 22.57 million TEUs in 2011, according to the World Shipping Council. The port of Hong Kong used to be the biggest of all Chinese ports, but not anymore. Last year, Hong Kong continued to handle a dwindling number of containers as more and more ships head north to the mainland instead. 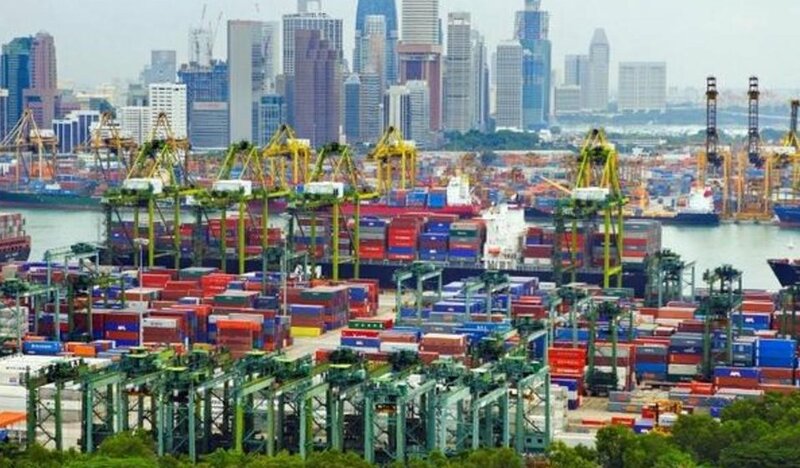 The Hong Kong container port terminal handled 22.35 million TEUs in 2013, down from 23.12 million in 2012 and 24.38 million TEUs in 2011. 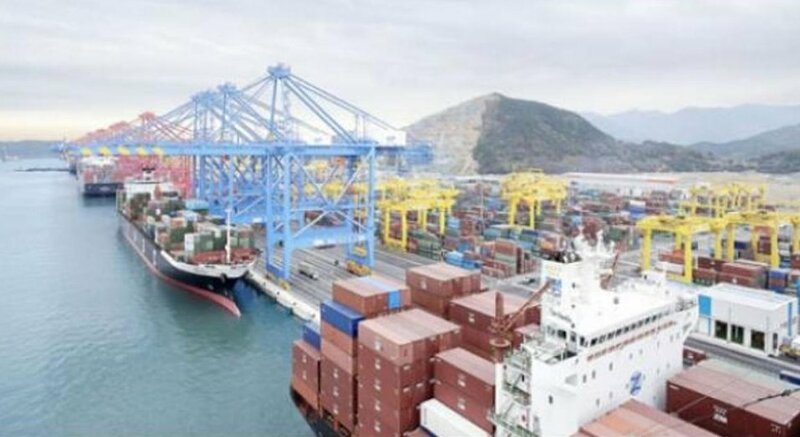 Continued growth in shipping at Busan. Last year saw 17.69 million TEUs go through the port, up from the 17.04 million in 2012 and 16.18 million in 2011. 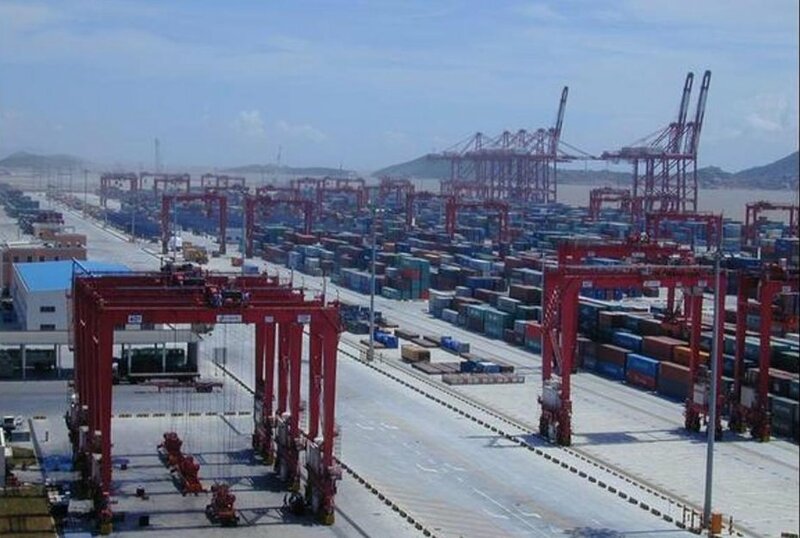 The Ningbo-Zhoushan Port handled 17.33 million TEUs in 2013, up from the 16.83 million in 2012 and the 14.72 million TEUs in 2011. Qingdao handled 15.52 million TEUs last year, up again from the 14.5 million in 2012 and the 13.02 million TEUs recorded in 2011. Not bad for a country supposedly going through a hard landing. 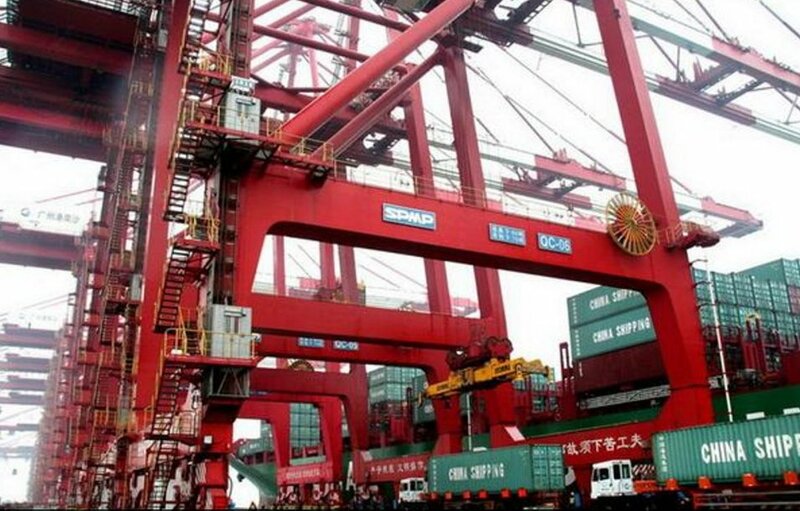 Despite a slowdown in exports out of China, the Guangzhou port continues to handle more cargo. In 2013 it handled 15.31 million TEUs of cargo, up from 14.74 million in 2012 and 14.42 million in 2011. Jebel Ali Port in Dubai 960 581 No. 9: Jebel Ali Port in Dubai, U.A.E. 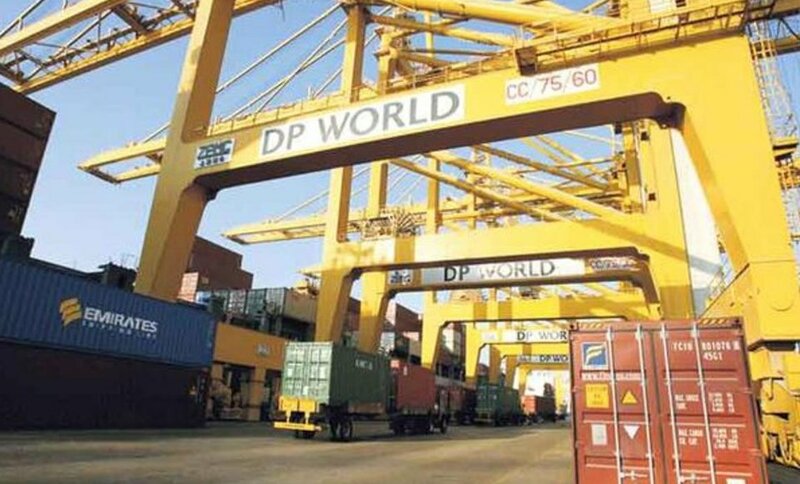 This Dubai port handled 13.64 million TEUs last year, up from 13.3 million in 2012 and 13 million TEUs in 2011, according to the World Shipping Council. The U.A.E. has successfully positioned itself as the hub between East and West shipping lanes, with more capacity currently being built out at the Khalifa Port outside of Abu Dhabi, the U.A.E. capital. 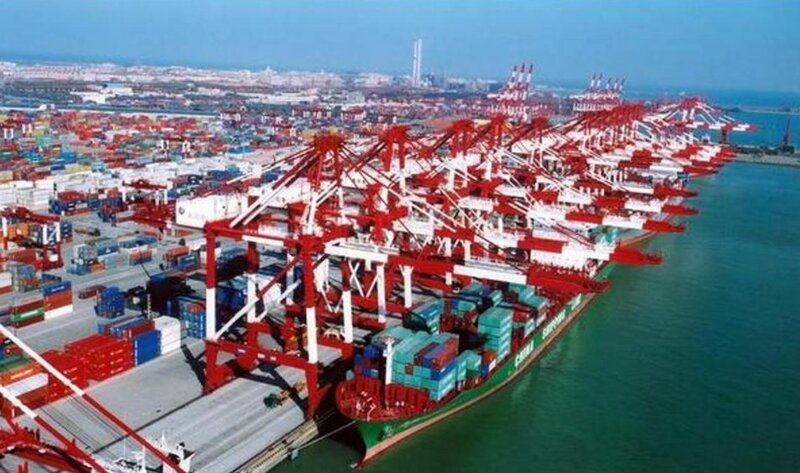 The Tianjin port in China recorded 13.01 million TEUs in 2013, up from 12.3 million in 2012 and 11.59 million in 2011. October 2016 ... 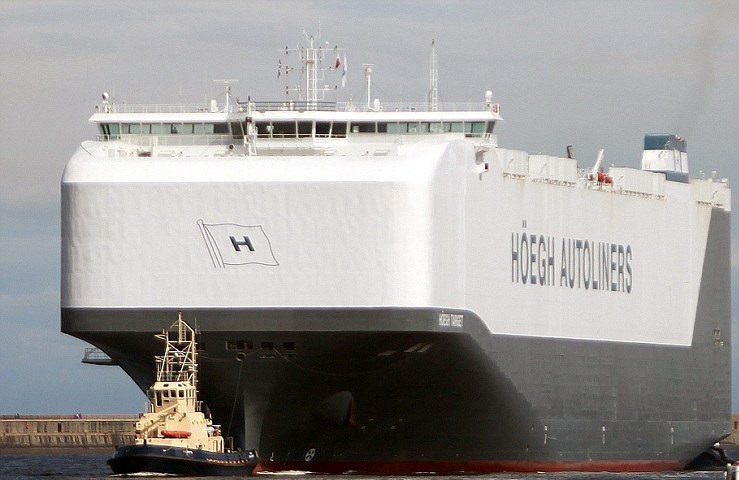 The world's largest car transporter, Hoegh Target docked at the Port of Aqaba with 8,500 cars on board, 650 of which will be unloaded in the port. The giant Ro-Ro vessel is the first Post Panamax carrier registered to the Norwegian firm Hoegh Autoliners to arrive in Aqaba and the Middle East. The 14-deck auto transporter, boasts deck space the size of 10 football pitches. It is 200 metres in length and 36 metres wide and has deck space of 71,400 square metres. 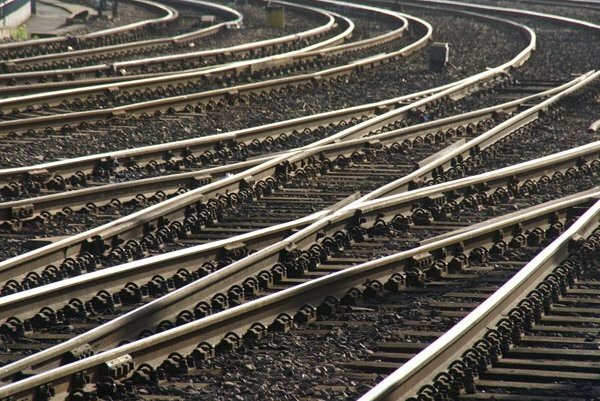 Officials said the vessel left the port with 450 re-exported cars.